Jack made the choice that few make and now he is left wondering if he has thrown his life away or given himself a chance to make up for the past. 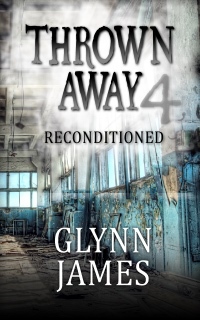 After months in the Recycling Zone breathing in polluted air and finding no clues that might lead him to discover where Ryan went, by pure chance Jack’s fate is changed instantly when a facility guard comes looking for him with a re-assignment card. And it’s the worst news. Will this new job lead to his death or to new opportunity? It could be both. Jack is surprised when his imprisonment at the hands of the Junkers is cut short. Instead of keeping him locked up, as he expected them to do for a long time, they offer him a job.The job means hunting down something that they haven’t been able to find and they believe he, with his talent for locating things, is what they need.But the item they want him to recover is tech from the old world. What do the junkers need it for? What are the motivations of their strange leader? Is it dangerous? Maybe some things are best left hidden?